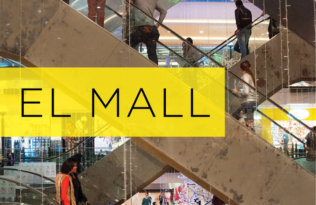 Tell us what are some key lessons you hope people will learn about shopping malls from reading your El Mall. I was most intrigued to learn how shopping malls are seen from the standpoint of the investors and pundits that are promoting their growth. For these agents, shopping malls are most valuable as “investment mechanisms” as products of real estate and as “management concepts” that sell brands and experiences rather than products. All of this language is part of the professionalization of the global business of shopping malls and their financialization, which is one of the reasons malls are spreading so fast throughout the developing world considered the new terrain of opportunities. This brings up key questions about land speculation and the privatization of space that I also examine throughout the book. Right now there’s a lot of emphasis on acquiring and developing land, and whether or not the malls are sustainable is a secondary question that few are considering. Also concerning is that many development pundits see shopping malls as models of cities and citizenship. There is a lot of boosterism around their development as malls are glamorized as the space where everything works, where everything is clean, shiny, secure and so forth. So a lot of what I do in the book is explore how these spaces are generative for the development of governmentalities around financial capitalism, and how cities should run. This is a very market-driven and sanitized vision, and a highly exclusive one. 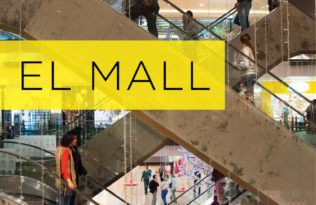 In sum, I argue that shopping malls are great to think about the material ramifications of contemporary neoliberal development both in terms of infrastructure and urban planning, but also in terms of people’s imaginaries of identity and class. What can we learn about consumption and middle classes in Latin America? 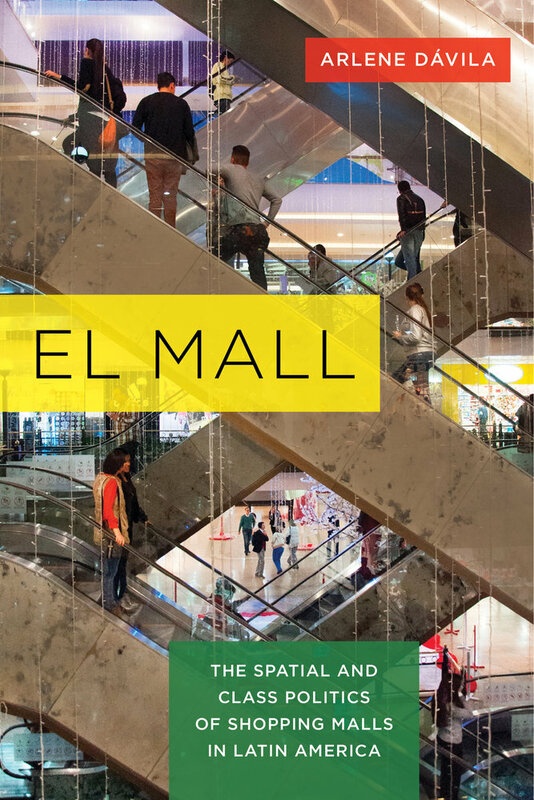 The issue of class was always at the forefront because shopping malls are developed on the promise of openness, diversity, and modernity and built in communities that never had access to modern spaces of consumption. Given this, they are often welcomed with open arms by locals and government officials as a sign of a community’s “coming of age.” Even some scholars have argued that shopping malls in Latin America and the developing world are more “open” and accessible than the more segregated suburban malls that we associate with malls in the U.S. A key point here is that in Latin America malls are often developed within cities, very accessible to public transportation, — which itself is an outcome of how much public infrastructure is being directed to these projects. 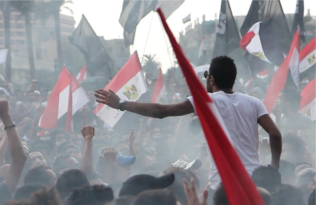 All of this is happening at the same time that new trade agreements are opening up the way to the importation of cheaper consumer goods, and the the expansion of credit is making new types of consumption possible for emerging groups. So you see a lot of new consumers at these malls, yet I show that malls are far from open spaces for intra-class unity. Here I tease out how class distinctions are not only manifested but also shaped in the context of the mall. In fact, there is a lot of surveillance around how people look, dress, in addition to all the markers of race and ethnicity. Ultimately, I hope to bring attention to matters of class and consumption in Latin America where these issues are seldom looked at. I hope to contribute to fill this void to understand who these “new middle classes,” what are their quotidian practices and to the extent to their middle classlessness may be more of a marketing construction than a reality. What made you write a chapter on fashion? There is always at least one chapter in your book that you never imagine writing but that has to be written because that is the topic that keeps coming up in most of your interviews. My fieldwork in Colombia coincided with the advent of new “global” fast fashion brands to the country, brands of the likes of Zara and Forever 21 and everyone was talking about this. Colombia is a fashion capital of its own, but like everywhere that is not NY-Paris-London-Milan, it never gets the recognition. I was curious to learn how the coming of global fast fashion brands was affecting the local fashion scene, and how professional young women were negotiating new consumption codes for self-styling. I learned that the globalization of brands and standardization of retail is one of the most conflicting outcomes of the spread of shopping malls in the region. This development has huge implications for local fashion and design workers, from those working in the informal economy to those trying to conquer a global fashion industry that gets more out of their reach with each new global North American/European brand that arrives in the local scene. Arlene Dávila is Professor of Anthropology and Social and Cultural Analysis at New York University. She is the author of numerous books, including Barrio Dreams (UC Press, 2004) and Latinos Inc. (UC Press, 2001, 2012).